This step by step guide will help you to recover accidentally or deliberately deleted file(s) from your computer and how to go about it. We’ve covered a variety of tools for recovering deleted files in the past, but this guide goes more in-depth. We’ll cover everything you need to know if you want to successfully recover deleted files. Note that programs like CCleaner empty your Recycle Bin when you run them, so having CCleaner or a similar program automatically run in the background can prevent you from recovering files from the Recycle Bin. 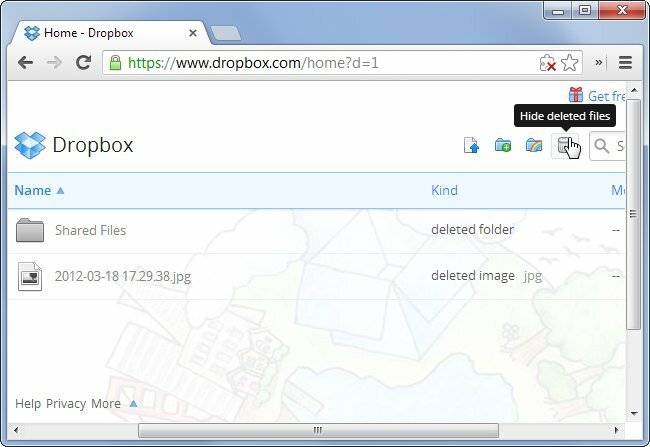 If the file was stored in a cloud storage service like Dropbox, Google Drive, or SkyDrive, be sure to log into your account on the service’s website and check your trash there — you may find the file is still recoverable. 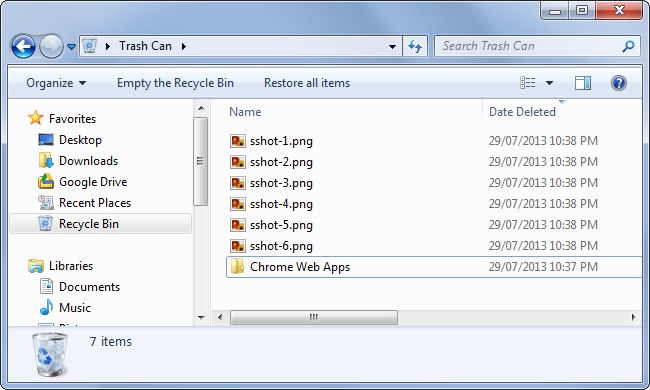 This is the cloud storage version of the Recycle Bin. If you’re not sure whether you deleted the file, perform a search for it using the search box in the Windows Explorer or File Explorer window. Hopefully the file was accidentally moved elsewhere and you can find it again. You should be making regular backups of your most important files so you won’t lose too much critical data if they ever vanish on you. If you do have a backup, now’s the time to check it for a copy of the file you deleted. Windows has built-in backup tools, so they may be able to help. 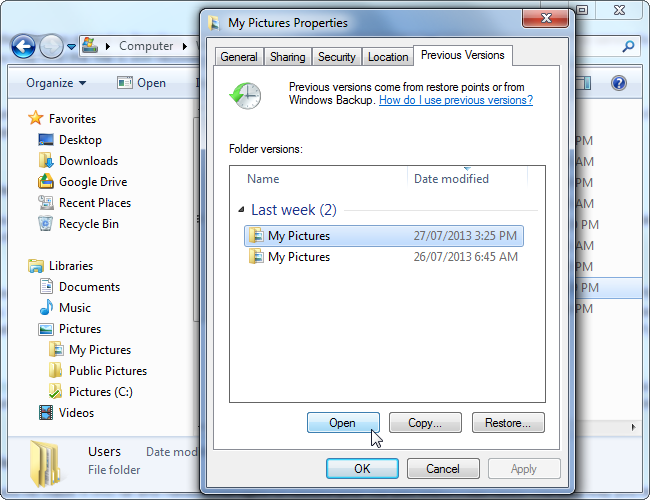 Windows 7’s Previous Versions tool may have created a backup of your file, even if you haven’t set anything up. To check previous versions, navigate to the folder that contained your file, right-click it, and select Restore previous versions. You can view backups that have been created and click the Open button to browse them — you may find a backup copy of your important file. Windows 8’s File History feature isn’t enabled by default, so you’re out of luck if you never enabled it manually. 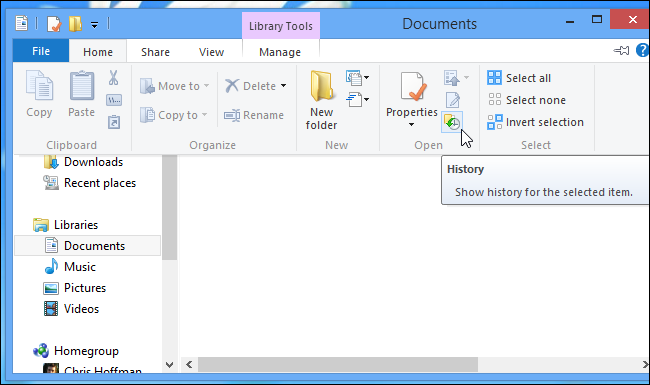 If you have enabled File History, you can visit a folder and click the History button on the ribbon to browse backup copies of files that were once stored in that folder. Traditional magnetic hard drives and solid-state drives work differently. 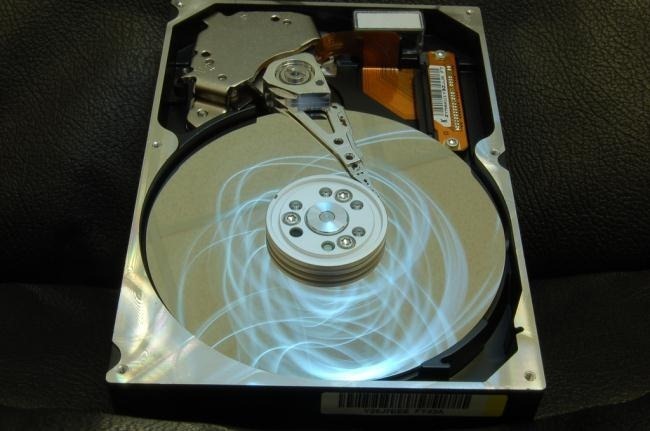 When you delete a file on a magnetic hard drive, its data isn’t immediately erased from the disk. Instead, the pointer that points at the data is removed. The data can then be overwritten. It may be possible to scan the hard drive for leftover data and restore deleted files that haven’t yet been overwritten. When a file is deleted from a solid-state drive, that file’s is immediately erased with the TRIM command to free up the space and ensure the SSD can be quickly written to in the future. That means that you can’t recover data deleted from solid-state drives — once it’s gone, it’s gone. Very old solid-state drives and old operating systems like Windows Vista don’t support TRIM, but modern solid-state drives and Windows 7 and 8 all support TRIM. If you deleted a file on a magnetic hard drive and you’re still using that computer, the safest thing to do is shut down the computer immediately. If you continue using the computer — even if you’re just installing file-recovery software — it’s possible that a program on your computer could write to the disk and that data could overwrite the deleted file’s data on your hard drive. With the computer shut down, you should boot from a file-recovery live CD or USB drive or remove the hard drive from the computer entirely and place it in another computer as a secondary drive. The key is to avoid writing to the drive entirely. Use file-recovery software to scan the drive, and hopefully you’ll find the deleted file. 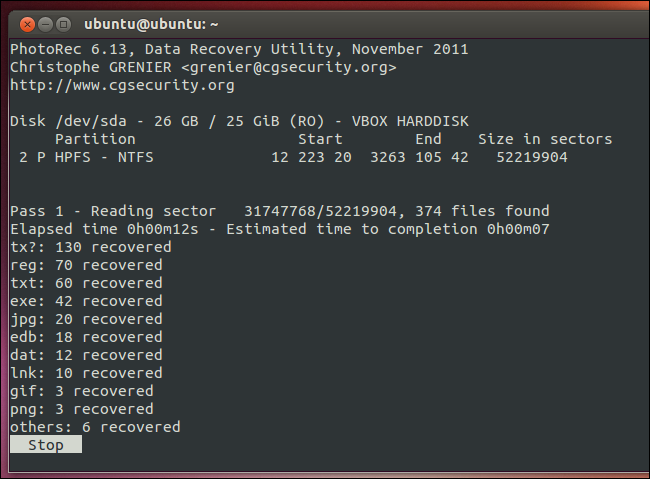 If you deleted the file recently and haven’t written to the drive much, you have fairly good odds of recovering it. If you deleted the file two weeks ago and have written to the drive quite a bit, it’s very unlikely that the file will be recoverable. If you’d like to get a deleted file back but it isn’t extremely important and you don’t want to go to much additional effort, you can do it the easier, riskier way. 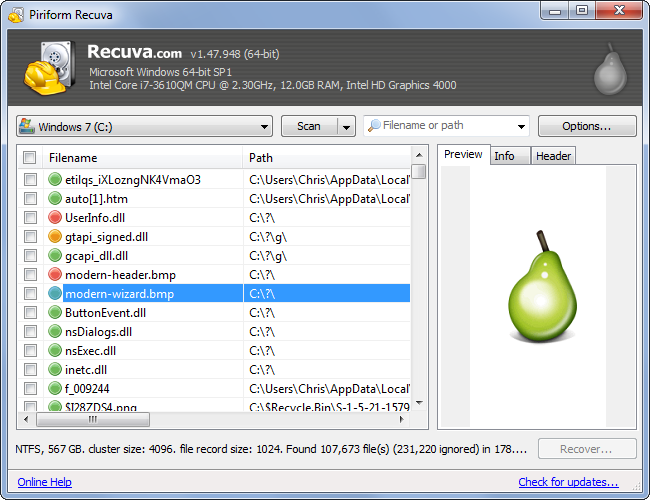 Just install a file-recovery tool like Recuva, from the makers of the popular CCleaner application. Use that application to scan your hard drive for deleted files and restore the one you want back, if you can find it. This is riskier because it involves writing to the drive. When you install a tool like Recuva on the drive, it’s possible that you could overwrite the deleted file’s data with the Recuva program data. It’s also possible that other programs running in the background could write to disk and overwrite the data. All it takes is for a portion of the file to be overwritten, and the file may become completely corrupt. If the data was particularly business-critical, you don’t have any backups, and you failed to recover it, you may want to consider a professional data recovery service. First things first: Power off the computer immediately if it’s not already off. The longer the computer runs, the more data will be written to its hard drive and the less chance you’ll have of recovering it. Professional data recovery services deal with everything from dying hard drives that need to be disassembled to recover data to deleted and overwritten files. These services can be extremely pricy and will cost you hundreds or even thousands of dollars, so they’re not the ideal solution. However, if you have extremely important data that you can’t recover or replace and you’re willing to pay up, this is an option available to you. Of course, these services can’t guarantee anything — they may be unable to recover your data. They’ll also probably charge you for their work even if they ultimately can’t recover your data.